Executive Chef Geno Bernardo celebrates his birthday by hosting a special cooking class, Geno’s Favorite Dishes at noon on Saturday, April 9. The five-course menu provides a sneak-peek into Chef Geno’s childhood, as he showcases his favorite dishes from Grandma Bernardo’s classic recipes, including meat ravioli, wild striped bass and beef braciole, “pinwheel-style.” Before the class, guests can enjoy a refreshing libation created by Mixologist Jack “Sugar” O’Brien. Called La Madrina, which is Spanish for Godmother, the cocktail features Don Julio Silver, cucumber juice, lemon juice, simple syrup and maraschino liqueur. The cost of the cooking class is $75 per person. Space is limited. For reservations, please call 702.942.6800. Beginning today, Andre’s Restaurant & Lounge at Monte Carlo will host its brand-new Whisky Wednesdays inside its eponymous signature cigar lounge. 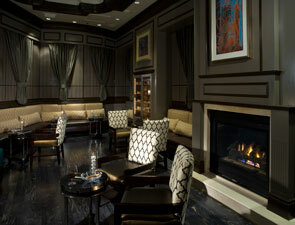 Whisky Wednesdays will take place inside Andre’s on the second floor inside Las Vegas’ only cigar lounge to be connected to a Strip restaurant. The event will begin at 7 p.m. and conclude by 9 p.m.
David Burke Kitchen Announces $24.07 Prix-Fixe Lunch! 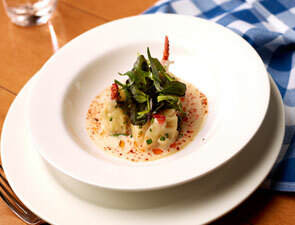 David Burke Kitchen has a new $24.07 prix-fixe available at lunch. 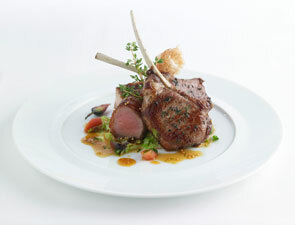 Guests can choose from a selection of a la carte items to create their own three-course meal. Options include lobster soup with dumplings & coconut fennel creme, the wedge with candied pecans, tomato vinaigrette and blue cheese, the chicken club and the Kitchen burger with bacon, cheddar & jalapeno fries. The affordable lunch ends with one of four desserts, including an old fashioned chocolate cake with candied olives and cassis panna cotta with berries & lemon anglaise. WHAT: On March 11, the world was forever changed when an earthquake off the coast of Japan caused a devastating tsunami resulting in thousands of lives lost, tens of thousands missing, and subsequent calamities around the country. In response to this tragedy, Origin India Restaurant & Bar wishes to offer support and donations to those who have been affected in Japan. On Thursday, April 7, Origin India will hold a fundraising dinner in conjunction with the Japanese embassy. 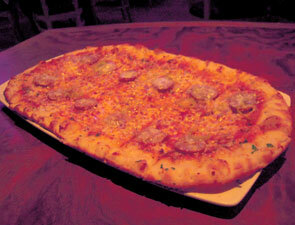 Fifty percent of all proceeds from the evening will go towards relief efforts. The evening will begin with passed wine and hors d’oeuvres, with a multi-course menu prepared by Executive Chef Kuldeep Singh to follow. A silent auction, featuring chances to win show tickets, will take place throughout the evening, and guests are also encouraged to donate what they can directly through the Japanese consulate general. COST: $65, all inclusive. 50% of proceeds go towards Japan disaster relief. INFO: For reservations please call (702) 734-6342. 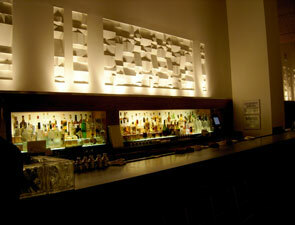 Origin India Restaurant & Bar is located at 4480 Paradise Rd. (across from the Hard Rock Hotel & Casino) in Las Vegas, Nevada. 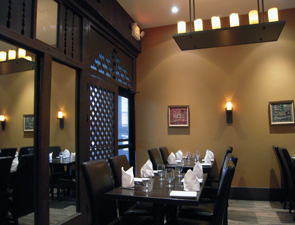 Specializing in modern Indian cuisine, Origin India has received critical acclaim by the local media and was featured on Rachael Ray’s Food Network travel show Rachael’s Vacation in October 2008. Executive Chef Kuldeep Singh oversees the talented kitchen staff, creating dishes that embrace the flavors of his native India, but are presented with a refined twist. The restaurant’s stylish décor is a combination of earth tones, leather and wood, creating a warm and comforting atmosphere. Its full bar features an interesting wine list plus a variety of Indian and other imported beers and a wide array of signature cocktails Origin India is open seven days a week from 11:30am to 11:30pm and features a daily Happy Hour from 5pm to 7pm where appetizers are buy one get one free and drinks from the signature cocktail menu are two-for-one. 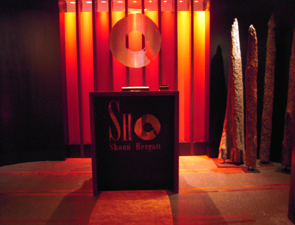 Make a reservation by calling (702) 734-6342. Aquavit will host its first annual Salmon Week, a celebration of this indispensible fish in Scandinavian cuisine and the arrival of spring. The festival will take place over the course of two weeks, from March 28th to April 1st, and April 4th through April 8th. The salmon smörgåsbord will be available in the Bistro for $28 per person at lunch and $35 for dinner. On the menu, a salmon pâté is accompanied by a seasonal asparagus salad, while brown butter and lemon infuse a salmon pudding. (Please see full menu below) Suggested house-infused aquavits will be on hand for $7 a glass, or guests can opt for the Carlsberg beer and aquavit pairing for $12. Salmon has been close to Swedes’ culinary hearts and minds for many centuries. With nearly 5,000 miles of coastline, Sweden has an abundance of seafood and a long list of preparations to match. Hot or cold-smoked, cured, poached, grilled or fried, fish is a cornerstone of Scandinavian cuisine. 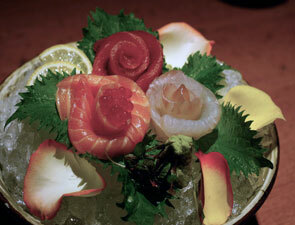 The Salmon Week celebrates this wonderful fish as we welcome the much awaited Spring Season with all its bounty. beverages, tax and gratuity not included. Click here to return to the TravelsinTaste home page. David Arthur hosts a wine dinner at Nove Italiano Sunday, March 27 – 7 p.m.
Nove Italiano invites guests to enjoy an evening with David Long, owner of David Arthur Vineyards, as he celebrates his fourth stop on his “Tour Meritaggio.” Dining and wine lovers will enjoy sausage, mozzarella and lobster pizzas, assorted salumi and Italian Farmhouse cheeses, paired with David Arthur Wines including the 2008 David Arthur Meritaggio. Local artist JD Newitt will be present to display and discuss with guests his alternative artwork. The dinner is $50 per person, excluding tax and gratuity. Seats are limited. 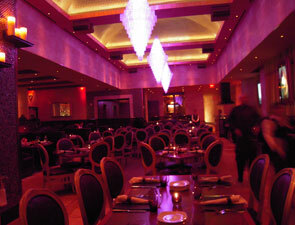 For reservations, please call 702.942.6800. Click here to return to TravelsinTaste home page. Silver Oak and Twomey host a wine dinner at Nove Italiano Thursday, March 24 – 7 p.m.
Nove Italiano inside Palms Casino Resort invites wine aficionados and food lovers to experience a one-of-a-kind dinner featuring wine selections from Twomey Cellars and Silver Oak Cellars at 7 p.m. on Thursday, March 24. Served in Nove’s Garden Room overlooking Las Vegas’ expansive skyline, Executive Chef Geno Bernardo delights and tantalizes guests’ palates with a delectable five-course menu paired with a variety of wines from Silver Oak Cellars and Twomey Cellars. David Duncan, president, CEO and managing partner for Twomey and Silver Oak Cellars will discuss the history of the wineries, share red and white pairing tips as well as mix and mingle with guests. The Silver Oak Cellars and Twomey Cellars dinner is priced at $175 per person, excluding tax and gratuity. Seats are limited. 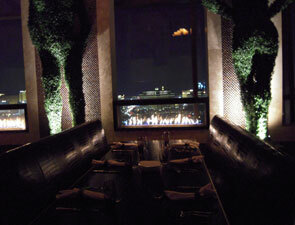 For reservations, please call 702.942.6800. Love for Japan is a benefit taking place at EN Japanese Brasserie this Wednesday/23rd at 6pm, all proceeds from which will be donated to Japan Society’s Earthquake Relief Fund and the Japanese Red Cross. The owners will be joined by friends Martha Stewart, who will be speaking at the event, and acclaimed jazz musician Wynton Marsalis, who will perform. Guests can bid on donations from Patricia Field, art dealer Gavin Brown & others during a silent auction while enjoying hors d’oeuvres, sake and beer. Tickets cost $250 in advance, $300 at the door and can be purchased by calling 212.647.9196. Today Executive Chef John Greeley will launch ’21’s Spring menu, with the prized Mangalitsa as its star. This scarce variety of pig is renowned for its clean taste and high fat content. For Chef John, bringing Mangalitsa to the table at ‘21′ has truly been a labor of love. Having learned the tricks of the Wooly Pig trade from an Eastern European master butcher, Greeley hand-selected and even helped slaughter the pigs on a farm in New Jersey last fall. The hands-on chef has since worked on curing the meat to create charcuterie items, including bacon, sausage and smoked ham. Additionally, Greeley will offer a mixed grill dish, featuring Mangalitsa pork loin and pressed shoulder with wild boar chop. Pictured above: Mixed Grill of Mangalitsa Pork Loin, Pressed Shoulder and Wild Boar Chop with Spring Onion Mustard Seed Jus. Executive Chef and Owner of Mehtaphor Jehangir Mehta donated 100% of the restaurant’s proceeds from bar and dinner sales from Wednesday, March 16th from 6 to 8 pm to the Japanese Red Cross. Mehta will also donate 100% of the proceeds from the inaugural class of his new program Gastro Kids After School. The class, which will introduce young kids to healthy cooking and eating, will be held on Friday, March 18th from 4 to 5pm. The $60 class fee will go to the Japanese Red Cross. Husband and wife team/owners Marco Moreira and Jo-Ann Makovitzky of Tocqueville and 15 East will donate 5% of both restaurants’ beverage sales from Wednesday, March 16th through Tuesday, March 22rd to the Japanese Red Cross.